A law suit against ‘boundless nuclear subsidies’ for the project is to be filed within days. Greenpeace and nine German and Austrian utilities selling renewable energy said on Thursday they are launching legal action against state aid for a new British nuclear power plant, which was approved by the European commission. Greenpeace and the others in the group said at a news briefing that the lawsuit would be filed with the European Court of Justice in Luxembourg in the coming days, over the Hinkley Point C project in south-west England. It would be based on the argument that billions of euros of subsidies for nuclear energy would distort prices in mainland European power markets, which are linked to those in Britain via a small French interconnector. “We are complaining against these boundless nuclear subsidies, because from an ecological and macro-economic viewpoint, they appear senseless and bring substantial financial disadvantages for other energy suppliers, renewable energies and for consumers,” said Soenke Tangermann, managing director of the Greenpeace Energy co-operative. The project, due to be built by French utility EDF, is deemed crucial for Britain’s plan to replace a fifth of its nuclear power and coal plants in the coming decade. Germany’s decision to phase out nuclear and to focus on wind and solar power sets it at odds with decisions in Britain and France to invest in emissions-free nuclear, which they have chosen to play a major role in combating climate change. The European commission last year approved state aid for the £16bn Hinkley Point plan. EU member states can choose their individual power generation mix, but have to obey rules respecting the European drive for harmonised internal markets. The campaigners said price guarantees for Hinkley Point C’s output, calculated over 35 years, would amount to €108bn (£77bn) while state guarantees for the construction of the reactor exceeded another €20bn. They said the Hinkley Point C could become a precedent for nuclear projects in Poland, the Czech Republic and Hungary, which would run counter to Germany’s intended transition to a renewable-based energy future. Artificially low prices of electricity derived from subsidised nuclear plants would push up prices German consumers were paying for green energy, they said. Greenpeace Energy supplies 111,000 customers with renewable power. The other nine companies in the alliance are Energieversorgung Filstal, municipal utilities (called Stadtwerke) of Aalen, Bietigheim-Bissingen, Bochum, Mainz, Muehlacker, Schwaebisch Hall and Tuebingen, and Austria’s oekostrom. Nuclear safety inspectors have found crucial faults in the cooling system of France’s flagship new-generation nuclear power plant on the Channel coast, exposing it to the risk of meltdown. The third-generation European Pressurised Reactor currently under construction in Flamanville is the same model that Britain plans to use for two new plants at Hinkley Point in Somerset. State-controlled nuclear giant Areva is responsible for the design and construction. France’s nuclear safety watchdog found “multiple” malfunctioning valves in the Flamanville EPR that could cause its meltdown, in a similar scenario to the 1979 Three Mile Island nuclear accident in the US. The inspectors listed the faults in a damning presentation obtained by Mediapart, the investigative French website. This is the latest setback for what is supposed to be France's atomic energy showcase abroad, following the revelation last month that its steel reactor vessel has “very serious anomalies” that raise the risk of it cracking. The vessel houses the plant's nuclear fuel and confines its radioactivity. The findings were listed in a presentation by the French Institute for Radiological Protection and Nuclear Safety (IRSN) to France’s top nuclear safety regulator (ASN). The watchdog reportedly cited “multiple failure modes” that could have “grave consequences” on the safety relief valves, which play a key role in regulating pressure in the reactor. Owned by state-controlled French utilities giant EDF, Flamanville lies close to the British Channel Islands and about 150 miles from the southern English coast. Designed to be the safest reactors in the world and among the most energy-efficient, the €9 billion (£6.5 billion) EPR has suffered huge delays in models under construction in France, Finland and China. It is now due to enter service in 2017, five years later than originally planned. In April, it was revealed that excessive amounts of carbon in the steel in the top and bottom of the reactor’s vessel, which forms a shell around it, could cause cracks which could prove disastrous, as the vessel cannot be replaced during the lifespan of the reactor. The faulty safety relief valves are situated on the pressuriser, which regulates the high pressure within the primary circuit where water cools the nuclear fuel by releasing steam when necessary. The failure of a pilot-operated relief valve in the primary circuit was a key factor in the partial meltdown of a reactor at the Three Mile Island plant in the US in March 1979, and which led to the halting of America’s civil nuclear power programme. In that accident, nuclear reactor coolant escaped through a valve that was stuck open, sending the reactor into partial meltdown. At Flamanville, IRSN noted “opening” and “closing” failures concerning the pilots that operate the safety valves and “risks of fluid leaks” of the reactor coolant. It warned that the multiple faults could have “grave consequences”. On Tuesday, IRSN confirmed tests conducted by EDF showed “difficulties in opening and shutting valves”. But it played down the gravity of the findings, saying : "For now, one cannot conclude it is serious as we haven’t fully judged the quality “of the valves” – a view it will announce this summer. “We are examining dossier handed in by EDF with a view to starting up the EPR. There are remarks on all subjects. It’s classic,” said Thierry Charles, deputy director general of IRSN. Last week, the French government announced Areva NP, the nuclear reactor arm of state-controlled Areva, is to be sold to EDF, its former client which also operates all of France’s 58 nuclear reactors. The move followed Areva’s announcement in March that it had racked up record losses in 2014 of €4.8 billion. EDF is in the final phase of negotiations with the British government on building the two Hinkley plants in Britain, which in February it said would be "possible in the next few months". Austria will take legal action to block any subsidized nuclear power plants in an effort to discourage use of the technology in Europe and scare off investors, the country's environment minister, Andrae Rupprechter, said in a newspaper interview. Rupprechter's comments to business daily Wirtschaftsblatt reflect non-nuclear Austria's tough stance, as evidenced by its intent to take the European Commission to court over approval of Britain's plans for the Hinkley Point nuclear plant. Neighboring Czech Republic also plans to extend its nuclear capacity. "Should other countries present similar subsidy plans, we will fight these in court," the minister said in the interview published on Wednesday, saying such state backing hindered the rollout of renewable energy technology. "Giving preference to nuclear power is unacceptable. Nuclear energy is neither safe nor economical. A lawsuit may also make potential investors hesitant." 29 years on from the disaster at Chernobyl, millions of pounds are still being spent in an attempt to contain the radiation. An area originally extending 30 kilometres (19 mi) in all directions from the plant is officially called the "zone of alienation". It is largely uninhabited, except for about 300 residents who have refused to leave. Even today, radiation levels are so high that the workers responsible for rebuilding the sarcophagus are only allowed to work five hours a day for one month before taking 15 days of rest. Ukrainian officials estimate the area will not be safe for human life again for another 20,000 years. On the 28th april 2015, firefighters were struggling to control forest fires within the surrounding area. If a similar disaster happened at Sizewell, This is what we could be facing for decades to come. 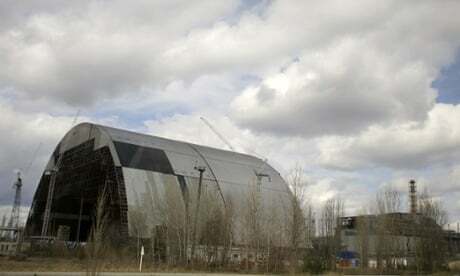 A massive engineering project to make the Chernobyl nuclear power plant safe is facing a €265m (£190m) funding shortfall. Next week a conference held by Germany in London will call on countries to make up the gap, but the European Bank for Reconstruction and Development (EBRD) has said it may have to ask its shareholders to make up the shortfall if donations dry up. This Sunday marks the 29th anniversary of the world’s worst nuclear disaster, when a power surge blew the roof off a reactor, spewing radioactive clouds across Russia, and eastern Europe. A makeshift sarcophagus built in the explosion’s aftermath was supposed to protect the environment from radiation for at least 30 years. But it has since developed cracks. The project to build a new radiation container had been due for completion this year but the deadline slipped to November 2017, as costs mushroomed from an initial estimate of €800m (£572m) to more than €2.15bn today. 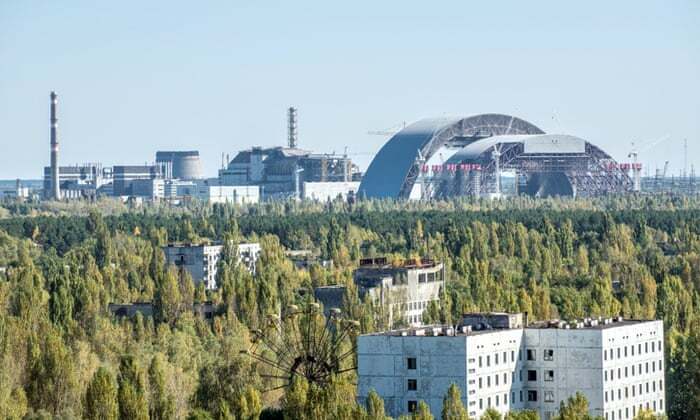 Over 40 governments and the European commission have committed to help a Chernobyl Shelter Fund tasked with sealing off the 100 tonnes of uranium and one tonne of plutonium that remain within the site. 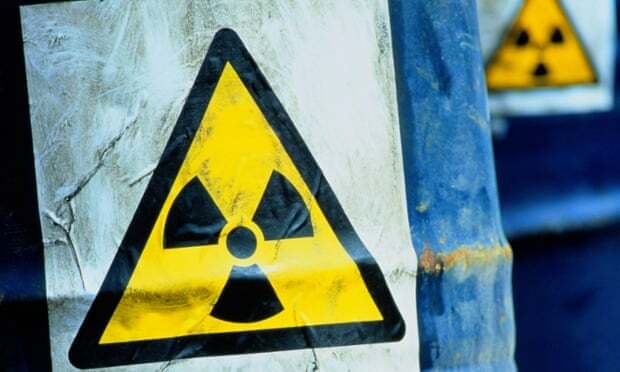 The bank believes there is a broad understanding among nations of the threat that radioactive dust on the site still poses to Kiev, around 70km away. The 31,000 tonne protective steel arch is an engineering project of staggering dimensions – 100m high, 165m long, with a span of 260m. When finished, it will be slid across teflon pads to entomb the burned out reactor, and is intended to remain effective for a century. Construction of the stainless steel arch has been hampered by factors ranging from optimistic early architectural designs to heavy snows in the winter of 2013/14, which caved in part of a roof near the stricken Unit 4 reactor shelter. Workers were evacuated from nearby sites, as radiation levels surged. The reactor itself is still too contaminated for workers to approach. Removal of radioactive materials there will only begin once the new confinement structure has been finished. Nuclear waste dumps can be imposed on local communities without their support under a new law rushed through in the final hours of parliament. Under the latest rules, the long search for a place to store Britain’s stockpile of 50 years’ worth of the most radioactive waste from power stations, weapons and medical use can be ended by bypassing local planning. Since last week, the sites are now officially considered “nationally significant infrastructure projects” and so will be chosen by the secretary of state for energy. He or she would get advice from the planning inspectorate, but would not be bound by the recommendation. Local councils and communities can object to details of the development but cannot stop it altogether. The move went barely noticed as it was passed late on the day before parliament was prorogued for the general election, but has alarmed local objectors and anti-nuclear campaigners. Objectors worry that ministers are desperate to find a solution to the current radioactive waste problem to win public support to build a new generation of nuclear power stations. Zac Goldsmith, one of the few government MPs who broke ranks to vote against the move, criticised the lack of public debate about such a “big” change. “Effectively it strips local authorities of the ability to stop waste being dumped in their communities,” he said. Labour abstained in the vote, indicating that a future government will not want to reverse the change of rules. However, the shadow energy minister, Julie Elliott, has warned that the project is expected to take 27 years to build even after a preferred site was identified and would cost £4bn-5.6bn a year to build, plus the cost of running it for 40 years. Since the Royal Commission on Environmental Pollution found in 1976 that it was “morally wrong” to keep generating nuclear waste without a demonstrably safe way of storing the waste, there have been at least four attempts to find the right site, all of them shelved after strong protest. There are now 4.5m cubic metres of accumulated radioactive waste kept in secure containers at sites across Britain, though only 1,100m3 of this is the most controversial high-level waste, and 290,000m3 is intermediate-level waste. It costs £3bn a year to manage the nuclear waste mountain, of which £2bn comes from taxpayers. The most recent proposal for a more permanent solution was to ask local authorities to volunteer to examine whether they could host the development. Initially, a coalition of Cumbria county council and Copeland and Allerdale borough councils put their names forward, but the policy stalled in 2013 when the county council pulled out. Last year, the Department for Energy and Climate Change (DECC) published a white paper which said ministers would prefer to work with public support, but reserved the right to take more aggressive action on planning if “at some point in the future such an approach does not look likely to work”. The day before parliament rose, MPs voted in an unusual paper ballot to implement a two-page statutory instrument which adds nuclear waste storage to the list of nationally significant infrastructure projects in England, via the 2008 Planning Act. Officials have said approval depends on a “test of public support” and any site would undergo extensive geological safety tests. Copeland borough council, one of the two areas most affected by any such development at Sellafield, said it was pleased with the government’s change to planning rules. Radiation-Free Lakeland – set up to block the Sellafield proposal because they claim there is no evidence deep storage is safe or that the geology of Cumbria is suitable – claimed, however, “the test of public support is a fig leaf: the government hast’t said what the public support will be”. The only existing high-level radioactive underground waste storage, in New Mexico, USA, has been closed since last year following two accidents. Germany has put similar plans for burying high-level waste on hold and four other countries, including France and Japan, are examining the idea.